In line with the 15th Anniversarry of the publication of the first book in the Harry Potter sereis, Scholatic is releasing all seven books in special editions with new cover art by Kazu Kibuishi. By now all the new cover of the seven books have been unveiled and so far it received positive response from fans. If you think that that's the end of the story for this fantastic art, think again. 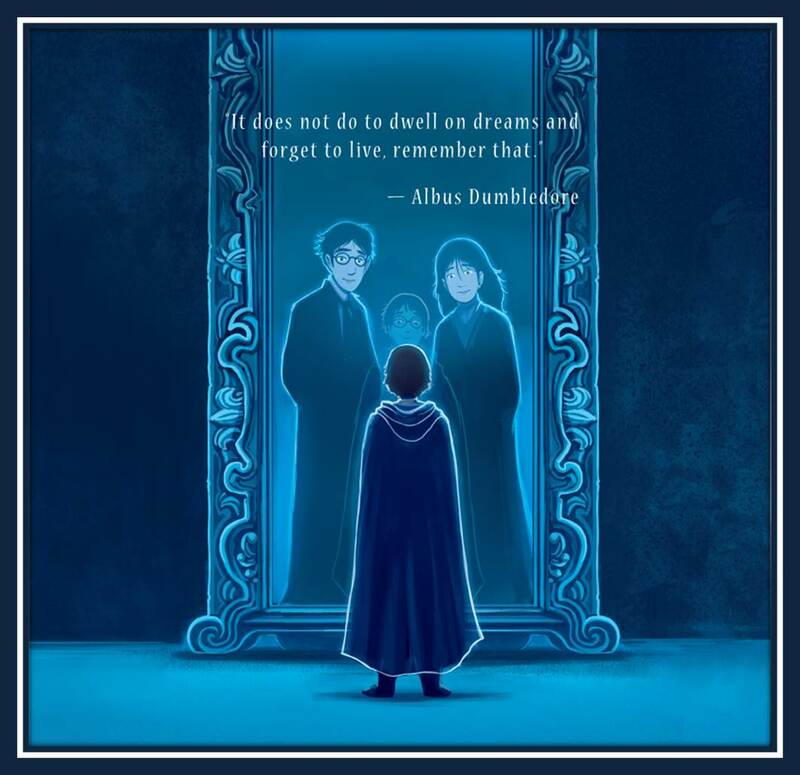 To my surprise, a new Harry Potter art by Kazu Kibuishi has been released, featuring one of the great quotes by Dumbledore and a melancholic depiction of the scene of Harry Potter with the Mirror of Erised. What can you say about this latest Harry Potter art created by Kazu Kibuishi featuring Harry in front of the Mirror of Erised? This art will be the back cover art for Harry Potter and the Sorcerer's Stone. Hopefully, the back covers os the rest of the books will be released as well. I will keep you posted on that. This new special editions of the Harry Potter series will hit book stores on August 27, 2013.